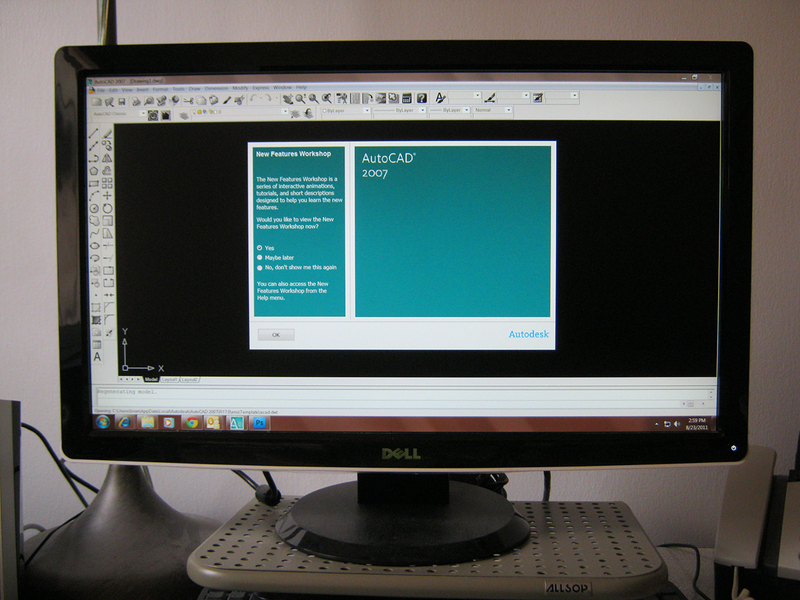 The life of a CAD Drafter can be more perilous than one might think. It can include riding out an EARTHQUAKE at 1:52 pm in the afternoon!! Today (Tuesday, August 23rd, 2011) started out normal enough, and I didn’t anticipate anything off the beaten path to happen. But then, who ever does!! Working from my 5th floor apartment in Kew Gardens (Located in the borough of Queens. ), New York, my plans for the day were simple. First, I aimed to edit two floor plan drawings of a building located down on Wall Street that I recently measured. And secondly I wanted to fill out Workers’ Compensation & Disability Benefits forms, for employees that I may need to hire for a prospective project that would consist of field verifying the existing floor plan drawings of a 40 story building in Midtown. – Big deal, right? I made it through the morning without a scratch, had a late lunch, and then began to printout the aforementioned forms. My printer makes my monitor sway back and forth as it prints, so often times I grab the monitor to prevent the motion. Well, as I was printing my last form, I was standing over the printer, but not holding my monitor. I noticed that my monitor was moving quite a bit, so I grabbed it. I quickly realized that my printer was done printing, and my monitor was still moving, and that I was moving too!! My monitor that withstood an earthquake!! The earthquake happened at about 1:52 pm, and it was a pretty weird experience. At first I felt a bit dizzy, until I realized what was happening. All of these thoughts and feelings happened in a matter of seconds. Once I realized that I was experiencing an earthquake, I just stood still and observed. I have a background as a structural engineer, so after the initial emotional shock and scare, I wasn’t very concerned about a building collapse. We must have been swaying a couple of inches. Maybe two or three inches I would guess off the top of my head. And it was a slow, but fairly tight and controlled sway. My surroundings seemed to be stable, and there was no havoc whatsoever outside, so I just affirmed to myself that my building could handle a little movement like this. Start to finish, I’d say the earthquake lasted about ten to twenty seconds. After it was over, I kind of excitedly laughed a low and semi-anxious laugh. I then walked into my building hallway and knocked on my neighbor’s apartment door. He wasn’t home, but I heard an apartment door on the 4th floor below me open up. I was standing right near the stairs to the 4th floor, looked down, and a woman looked up at me. I said, “Did you feel that! ?” She said, “Yes, what was it! ?” I then went one to briefly talk and laugh with her about it. Then I walked back into my apartment, and heard my doorman in the back courtyard below me. I popped my head out the window, looked down below, and said, “Did you feel that! ?” Squinting, he looked up and said, “Yes, it was an earthquake! !” A woman was standing with him, and she said in passing, “There may be an aftershock.” It’s 2:40 pm now, and I haven’t felt anything noticeable yet. So I made it through the earthquake of 8-23-11 unscathed! …Yes, the daily duties of a CAD Drafter could include riding out an earthquake. Who would have thought!? I'm Brian M. Curran and I run a drafting services business in NYC. My aim is to create quality drawings, and to be entrusted with important projects. For some project on-site videos, please visit my Google profile. This entry was posted in AutoCAD Related. Bookmark the permalink.